Shiny fruits, colourful symbols, vibrant design, and a progressive jackpot of over € 1,000: this is Microgaming’s classic slot, Fruit Fiesta 5 Reel! Get ready to take a trip back in time to the nostalgic days of feeding pennies into a simple fruit machine with no fuss and no complications. Who doesn’t love a retro style slot that’s been attracting players for decades? With so many online fruit slots available, though, it’s not just any fruit machine that will do. So, what makes this one worth spinning is the vibrant design and the possibility of winning great prizes, including the progressive jackpot! 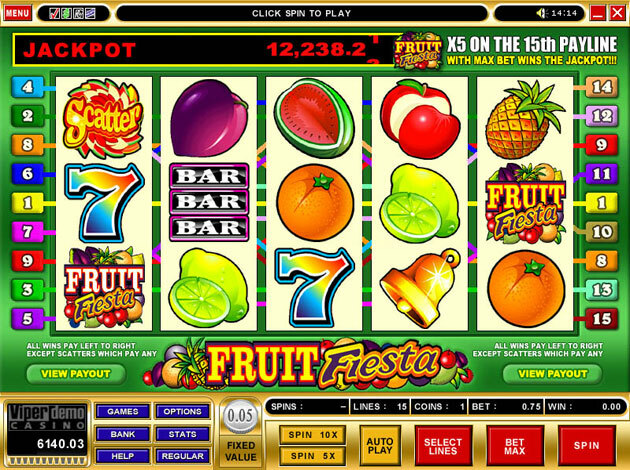 Fruit Fiesta 5 Reel is a fun game with 5 reels and 3 rows, played over 15 flexible paylines. It features wild substitutions and a scatter symbol that pays anywhere on the reels, which, along with the jackpot, are more than enough to keep you entertained! The RTP is 90.03%. Read on to find out what makes this game such a popular title! Flashy fruits will start spinning on the reels when you bet € 0.75 per spin when playing on all 15 paylines. 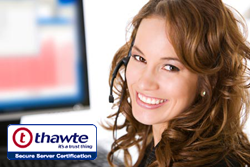 You can adjust your bet by decreasing the number of paylines to play with, which will decrease your bet. However, if you want to be in with a chance of landing the jackpot, you need to be playing at the maximum bet level on all 15 paylines. The fantastic fact about Fruit Fiesta 5 Reel is that you can hit the jackpot for a relatively small stake! So, you don’t need to break the bank to take a shot at the progressive jackpot, thanks to the smaller bet levels. The reels are full of vibrant, juicy-looking fruits of all sorts: oranges, red apples, deep purple plums, pineapples, watermelons, and shiny green limes. In keeping with the retro theme, you’ll also find the iconic lucky seven symbol, bar symbols, and golden bell symbols. The Fruit Fiesta logo represents the wild symbol which replaces all symbols on the reels except for the scatter, which is also a title symbol decorated with several fruit slices. The scatter pays anywhere on the reels. There aren’t any free spins on Fruit Fiesta 5 Reel, just plenty of shiny, delicious-looking fruits and the chance of winning that growing jackpot to keep you entertained. The biggest winning combination will of course be the trigger for the jackpot: you need a hit of five Fruit Fiesta symbols landing on the 15th payline for the progressive jackpot amount to be all yours! Remember, you need to play at the maximum bet of € 0.75 to be able to win the jackpot. Besides the jackpot, there’s still enough in the paytable to keep players entertained, so it’s no wonder that this is one of Microgaming’s most popular titles! If it doesn’t earn you the jackpot, the Fruit Fiesta symbol can see you winning a maximum prize of 9,000 coins if you get a hit of five matching symbols landing on any payline except for the 15th payline. This symbol also pays from a combination of two symbols, which will result in a payout of 5 coins. The rest of the symbols will earn you prizes from a combination of three, four, or five matching symbols on a payline. The seven is the most valuable symbol, worth up to 750 coins. Next is the bar symbol, worth up to 400 coins. The pineapple and watermelons are worth medium prizes between 8 and 300 coins. The orange and limes will pay a maximum of 180 and 150 coins respectively. Finally, the plum is worth up to 120 coins. The lowest win symbols are the apple - worth a maximum of 100 coins - and the bell, worth a top payout of 75 coins. When you open the game, you’ll be greeted with a cheerful, bright green background, on which the light-yellow reels are set. The symbols are cartoon in style, with a black outline and solid colours. Like the gameplay, the design is also simple, which works well for such a retro slot. Underneath the reels, you can see the number of lines you’re playing on, the number of coins, and your bet. You can adjust your bet by selecting the lines to play on from the game panel. Accessing the paytable is super easy, as you can’t miss the payout buttons on both sides of the game’s fruit-filled logo. It’s a non-stop party on this classic game thanks to the simple gameplay and generous prizes! Even if you don’t hit the jackpot, you’ll still have a blast playing Fruit Fiesta 5 Reel and earning fruitilicious prizes. Spin the reels of this fruitastic slot today and if you’re really lucky, the progressive jackpot sitting on top of the reels could be all yours!